Casagrande-Kim, Roberta, Samuel Thrope & Julia Rubanovich (eds.). 2018. 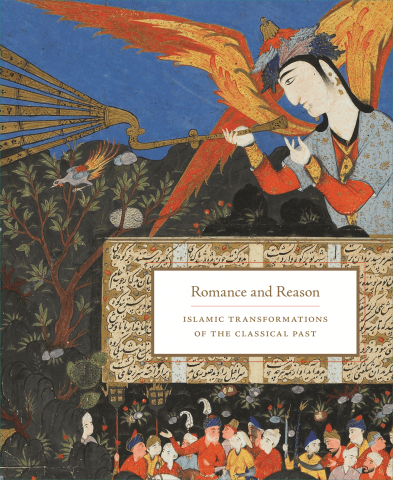 Romance and reason: Islamic transformations of the classical past. Princeton, NJ: Princeton University Press. Romance and Reason, a lavishly illustrated catalogue accompanying the exhibition of the same name at New York University’s Institute for the Study of the Ancient World, explores the breadth and depth of Islamic engagement with ancient Greek thought. Drawing on manuscripts and artifacts from the collections of the National Library of Israel and prominent American institutions, the catalogue’s essays focus on the portrayal of Alexander the Great as ideal ruler, mystic, lover, and philosopher in Persian poetry and art, and how Islamic medicine, philosophy, and science contended with and developed the classical tradition. Contributors include Roberta Casagrande-Kim, Leigh Chipman, Steven Harvey, Y. Tzvi Langermann, Rachel Milstein, Julia Rubanovich, Samuel Thrope, and Raquel Ukeles.